You could say it was a time of democratic poverty. But then, Bakare did not include politicians, civil servants and the military, who had relatively stable and regular income, at that time. But the austerity measures that will soon be unleashed on Nigerians will forgive only government contractors and the overpaid political class, some of whom earn above N240m annually, and still get handsome kickbacks. Civil servants and the military will suffer the same fate as Nigerians on Main Street this time. The Federal Government’s austerity measures include a reduction of the crude oil benchmark for the 2015 Appropriation Bill from $78 to $73. Some think $55 should be more realistic. There will less money to spend. 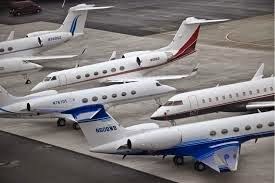 Foreign trips by civil servants would be curtailed, except when sponsored by foreign bodies for training; Ministries, Departments and Agencies would be streamlined; there will be a more effective tax collection regime; and a Luxury Goods Tax would curb the use or consumption of luxury items like private jets, yachts, and champagne. By the way, will the Presidential Fleet be pared down? Or, don’t 10 (or 11) aircraft seem like a luxury? Some of these measures are laughable, though government must be commended for resolving to divert funds to growth sectors, like infrastructure, human capital development, and agriculture. Austerity measures shouldn’t end with eliminating waste, luxury, reducing comfort, or foregoing indulgencies. To borrow the classic definition of economics, it should be the rational allocation of scarce resources strategic reordering of resources to fundamental sectors of the economy. Policymakers may need to take a peek at the work notes of the late Obafemi Awolowo. Nigerians got the grim reports that the global oil price has drastically reduced to N$80, and sometimes below, from a recent high of $100. Nigeria’s External Reserves dipped from $39.1bn to $37.1bn between October and November. Lower oil revenue will adversely affect the oil subsidy. The negative multiplier effect of the expected hike in costs of transport and production will spin the tail of inflation. It will get worse, now that a more realistic Central Bank of Nigeria is auctioning the dollar at N162, as unconfirmed reports say the dollar sold between N183 and N186 at Alade Market, Ikeja, Lagos, last week. A report claims that the CBN is making more dollars available to the market. But moving the official exchange rate from N158.41 to N168 is evidence that the CBN doesn’t have much dollar to sell. This action mops up naira liquidity, increases interest rate, and reduces effective demands for the imported goods that Nigerians buy with their expensive dollar. It will also set the economy on the road to recession. The balance of payment deficit of Nigeria’s chronic import-oriented economy will become more acute now that America is not buying oil like before. In any case, the price is dipping. You know that Nigeria imports nearly everything – from industrial machinery, to stretched limos, toothpick, and Pringles. The cycle keeps going on, like a dog chasing its tail. The CBN Monetary Policy Committee has moved interest rate benchmark from 12 per cent to 13; raised the bank Cash Reserve Requirements for non-government deposits from 15 to 20 per cent, but retains that of government at 75 per cent. Just look at the wreck that state agencies – like the Federal Executive Council, an insensitive cahoot; the Federal Ministry of Finance, with its head in the clouds; the Ministry of Petroleum Resources, a bystander in its own affairs; the Nigerian National Petroleum Corporation, haven of intolerable inefficiency; and the Central Bank of Nigeria, the unwitting financial fire brigade– have made of Nigeria, and making life, oh, so tough for the citizens. The Lagos Chamber of Commerce and Industry rightly complains that the hike in the exchange rate and interest rates would adversely affect business, just as it reiterates, for the umpteenth time, the need to diversify the economy. The LCCI demands that the Federal Government must stabilise the economy, minimise the dislocation, make the economy sustainable, and cushion the effects of the oil price slump. On its own part, the Nigeria-British Chamber of Commerce, worried at the dizzying fall of the price of crude oil, offers its EXPORT NIGERIA initiative to diversify Nigeria’s export trade. The initiative will supply ethnic foods and other needs of Diaspora Nigerians, especially in the United Kingdom. The Fisheries Society of Nigeria is crowing that it exported fish worth over $53m this year. When presenting the 2015 Appropriation Bill to the Lagos State House of Assembly, Governor Babatunde Fashola observed: “Our resources have been severely and adversely affected by the management, and lack of transparency of the Federal Government and its agencies, of the nation’s oil proceeds.” To borrow a tongue-in-cheek phrase from Anthony Lewis of the New York Times, the accounting of Nigeria’s oil revenue is as clear as sludge. A former CBN Governor Lamido Sanusi couldn’t tell exactly how much was lost from the NNPC coffers. Fashola reveals that monthly receipt from the Federation Accounts Allocation Committee has dropped. Fashola alleges that the Federal Government owes N51bn of the N59bn that his government spent on rehabilitating Federal roads in Lagos State. He adds that the Federal Government also owes Lagos an accumulated N673.67bn pension funds. One agrees with the Lagos State chapter of the All Progressives Congress that questions the Federal Government’s panic measures barely two months into a reversal of oil prices. What has government done with the long roll of oil revenue over the years? Why wouldn’t the external reserves and the excess crude account serve as a buffer, at least, in the short-term? But realistic policy planner should have seen this price dive coming. Film footages on the Cable News Network and other international television networks had shown protests, riots, and arson by the near-subversive, and in-your-face OCCUPY groups in Western Europe. What you see now is the domino effect of the debt throes and economic slump that affected the West, and caused prime ministers of some southern European countries to lose their jobs. King Juan Carlos of Spain recently lost his job to his son. The protests spiralled to richer Western countries like America. Remember OCCUPY Wall Street? Even off-duty British policemen joined in the street protests against austerity measures proposed by Her Majesty’s Government. French voters brought in socialist Francois Hollande to replace President Nicholai Sarkozy because of his policy of privatisation, deregulation, and austerity measures. The Structural Adjustment Programme, the austerity measures conjured by the International Monetary Fund for Nigeria, for the government of military President Ibrahim Babangida, is coming back in another garb. France and Germany compelled southern European countries, like Portugal, Italy, Greece, and Spain to swallow the bitter pill of austerity measures. It is the turn of the oil producing Third World countries that drove the West to drink with the 1973 oil embargo, to drink from the poisoned chalice.